So I don't know about you guys,but this super cold weather caught me completely off guard! I mean it seems like yesterday I was wearing my favorite maxi dress.....and today I had that good peacoat/UGGs combo! Well anyways here is a list(in NO particular order) of a few of my favorite things to get you through this fall! If you know me,you know I am from CLEVELAND,home of Bone Thugs n Harmony,Halle Berry and hip hop's newest rager, Machine Gun Kelly...October 9,2012 is the release date for the much anticipated cd from the Cleveland artist. DOPE, DOPE Dreams and DOPE Girls tee-shirts have been one of the highlights of this summer! Created by two friends who shared a common love of hot sneakers,DOPE tees rapidly branched off into t-shirts for ladies,jackets,accessories,etc. Virgin Brazilian Remy Curly Hair...I have Been wearing this hair since late July,and any hair that can take a beating from ME deserves to be shouted from the mountain tops! I have washed it (about 5-6times),tighten it ,taken it out and sewn it back in. I am in love with this hair! This lovely woman has added Burnese and Cambodian hair to the list....So ditch the Milky Way and get Xclusive! 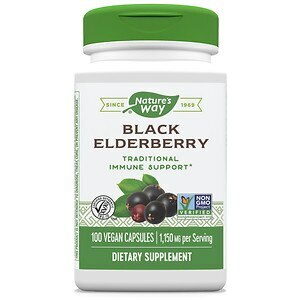 A few weeks ago,I was extremely sick, and good friend of mine stayed in my behind until I got some elderberry pills. A elderberry is a natural way to strengthen my immune system , fight the flu and my allergies....Its been a few weeks and I certainly feel alot better!